South Korean defence sources also believe North Korea may fire as Donald Trump visits the region, according to Yonhap News Agency. Anita Kumar, another reporter for McClatchy News, said that the communist country could be preparing its 23rd missile test the year to coincide with a visit by US President Donald Trump to the region. She said: “What experts are telling me, though, is that there might be a missile test by North Korea while President Trump is travelling. “That’s going to put him on the spot while he’s in China or South Korea.” “So that would be huge. He’d have to decide then and there how to react.” South Korean defence sources also believe North Korea may fire a missile, according to the Yonhap News Agency. South Korea's spy agency also predicts Pyongyang is preparing to carry out additional nuclear and missile tests, after noting "active movement" of vehicles around a missile research institute in Pyongyang. A report based on South Korea's National Intelligence Service (NIS) information which has been seen by CNN also said Pyongyang will continue to "push for the development of miniaturized, diversified nuclear warheads." The report was co-written by Rep. Kim Byung-kee and other members of South Korea's parliamentary intelligence committee after a closed-door briefing by the National Intelligence Service (NIS) on Thursday. "Tunnel 3 (at the Punggye-ri test site) is ready to carry out a nuclear test at any time," the report notes. North Korea last claimed to have successfully conducted a test of a hydrogen bomb in early September the country's sixth nuclear test. That explosion created a magnitude-6.3 tremor, making it the most powerful weapon Pyongyang has ever tested by a mankind. 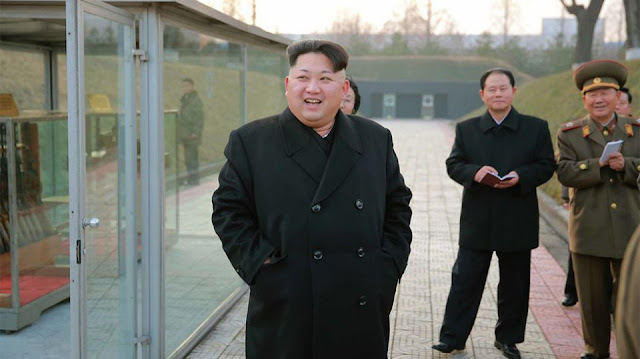 On Thursday, the regime dismissed regional press reports that one tunnel at the underground nuclear test site collapsed after Pyongyang's sixth missile test in September, killing hundreds of North Korean workers. A report from state news agency KCNA accused Japan of circulating "fake news" after its TV Asahi carried a report, citing an unnamed North Korean official claiming up to 200 people were killed in a tunnel collapse. In addition to a potential future nuclear test, North Korea is working on an advanced version of its existing KN-20 intercontinental ballistic missile that could potentially reach the United States, less than six months after it launched its first ICBM. Additional improvements are underway to North Korea's nuclear fuel, missile launchers, guidance and targeting systems as well, officials say. All of this comes as President Donald Trump is about to travel to Asia, where North Korea's weapons will be a major topic of discussion.